Smart Mobiles devices have become second nature to most of us now. A number of people are now opting for smartphones and making use of the various features available over the Internet via apps and websites. There are mainly two types of Smartphones that have become very popular, the iPhone and Android Devices. Hence it is needless to say that a majority of the Apps available are developed for these two platforms, iOS, and Android. It is believed by many that the coding process for both an iOS app and Android app is the same. This couldn’t be further away from the truth. The Android Apps are mainly developed using Java while the iOS App Swift programming language. Then Android apps using Java require a great deal of more coding and hence tends to be a slower process. There is a shift of the programming language used to develop Android Apps from Java to Kotlin and hence this may improve in the near future. The customer base for Android devices and Apple’s iPhone devices are quite different. As per the surveys it was found that the iPhone user base consists mainly males between the age of 18 to 49. Additionally, since these phones tend to cost a bit more than the Android, Apple buyers are generally college educated and people who are well off economically. This includes a high percentage of male customers in USA and Europe who are usually big spenders in the App store. The customer base for the Android devices varies a great deal. However, the Android customer base includes a large percentage of users having only school graduation and those living in developing countries. There is a big difference the device itself when it comes to developing an app for iOS and Android. The iOS apps are generally only developed for Apple devices like the iPhone, iPad, and iPod. On the other hand, the Android operating system is used by a wide range of devices from a wide number of manufacturers. These devices have a wide range of screen size, screen resolution. In addition to this, each device may have features unique to itself too. Hence, developing an App for the iOS platform is highly customized and tailor-made for the device while the Android Apps developers need to consider the fact that the features of the devices using their App may vary to a large extent. 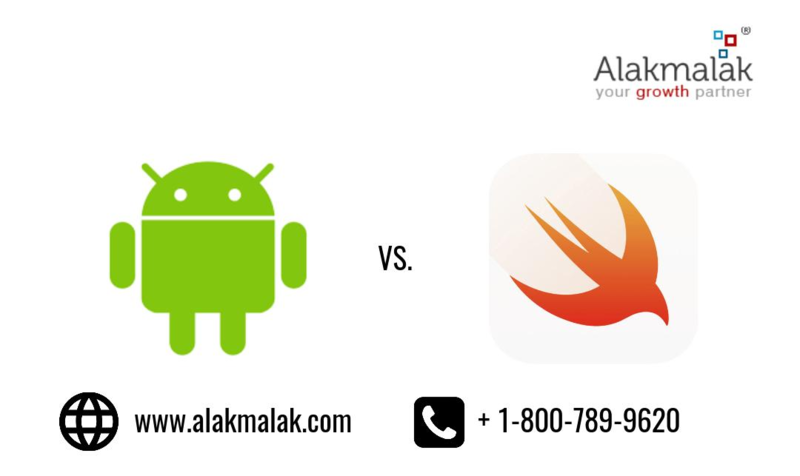 Alakmalak is a Swift Application Development Company in India. They offer their services for several technologies including web design and development, digital marketing and more. We have a dedicated team of mobile developers who are highly skilled and experienced. How to Move Magento Website From One Domain to Another?